A leader since the 1970s in documenting, producing, and performing lesbian and feminist music, she is also an openly lesbian high school teacher who has been in the forefront of efforts to promote the welfare of lesbian and gay students and teachers. Since the 1970s, Toni Armstrong Jr. has been a leader in documenting, producing, and performing lesbian and feminist music. In the 1990s, as an openly lesbian high school teacher, she has also been in the forefront of efforts to promote the welfare of lesbian and gay students and teachers. Beginning in 1977, Armstrong has been publisher of Women’s Music Plus, a directory of resources in women’s music and culture that is the only trade directory for the national lesbian-feminist entertainment industry. Between 1979 and 1982, as a member of Chicago’s Mountain Moving Coffeehouse for Womyn and Children collective—“the world’s longest-surviving women-only, drug- and alcohol-free space”—she served as its concert producer, developing contracts and bringing in nationally known lesbian-feminist acts on a regular basis for the first time. From 1979 into the 1980s, she played bass in the pioneering, openly lesbian punk band Starkissed and later in the openly lesbian comedy band Surrender Dorothy. She played “Surprise (I’m a Lesbian)” with Paula Walowitz on the album Gay and Straight Together (produced by Ginni Clemmens and recorded at Marge Summit’s His ’n Hers bar), and she played bass on Walowitz’s tape Last Night on School Street, of Mountain Moving’s farewell concert before relocating to Rogers Park. She has also performed with Chicago’s lesbian-feminist Artemis Singers, with lesbian-identified bands such as the Dental Damsels, and with musicians at Mountain Moving Coffeehouse. From 1984 to 1994, Armstrong published the internationally distributed HOT WIRE: The Journal of Women’s Music and Culture, covering lesbian-feminist woman-identified entertainment and publishing culture, and trained more than 150 women as staff members. She has worked on staffs of GayLife, Windy City Times, and Outlines. Since 1981, she has been a producer of large annual Chicago-area lesbian social events (with Tracy Baim) and of concerts and party-fundraisers. She has been “more or less out” as a lesbian high school teacher since 1979. 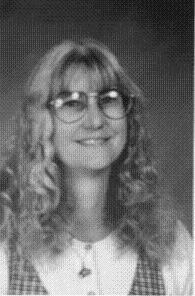 In 1995, she organized the first reunion of lesbian and bisexual alumnae of Maine Township High School East, joined the steering committee of GLSTN (Gay, Lesbian, and Straight Teachers Network—now GLSEN, the Gay, Lesbian, and Straight Education Network), helped GLSTN Chicago become the nation’s third-largest chapter, and spearheaded GLSTN Chicago’s Youth Scholarship program. She has worked to focus attention on lesbian, gay, and bisexual issues at Maine East and in 1996 coordinated GLSTN’s Midwest Conference on Ending Homophobia in the Schools at Chicago’s Bismarck Hotel. Armstrong has become a visible advocate for lesbian, gay, and bisexual youth activists. In 1996, with 1997 Hall of Fame inductee Miguel Ayala, she co-founded and has served as vice president of Student Pride USA. Since 1996 she has been a traveling public speaker on ending school homophobia. And she now provides a home for two “adopted daughters”—lesbian teenagers who need parenting, guidance, and financial support because of their former “at risk” living situations.